Indiana recently passed a law requiring all carry-out alcohol customers to show ID when purchasing alcohol, regardless of age. The law was largely ridiculed; however, after the law was enacted, officers completed inspections on underage sales of alcohol, saying that sales to minors was down over 40% since 2009. During the inspections, people ages 18 to 20 accompany officers and try to buy alcohol. Indiana business owners are "getting the message about not serving to minors after being hit with citations and fines," said a Courier Press article. Indiana Excise Police Officer Travis Thickstun said that along with laws mandating certified server training, the tougher ID requirements helped improve compliance. The mandatory server classes, which last about two hours, cover not over-serving to intoxicated customers, how to spot fake IDs, and basic alcohol laws in the state. "Liquor store owners supported the stricter ID law," says the Courier Press article. "...It wasn't that inconvenient and it led to a drastic drop in attempts by minors to buy alcohol because they knew clerks had to card all customers." Laws like these help reduce the risks of alcohol, from service-to-minors to drunk driving. 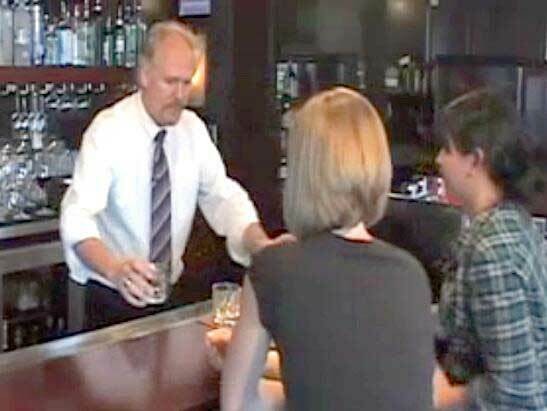 Like Indiana, Washington state also requires mandatory alcohol server training. This spring, Indiana revised their card law so that store clerks are no longer required to card customers who reasonably appear older than 40, similar to laws in Washington state. If you're looking to take bartending certification classes, or to complete your mandatory alcohol server training, AACEA has an easy online alcohol server training program to fit your needs. Sign up today and you’re eligible to win $100 from AACEA and Len Riggs. To get your alcohol servers permit in Washington visit www.aacea.com.